I was looking for a fun smallish project to teach cables at the store. 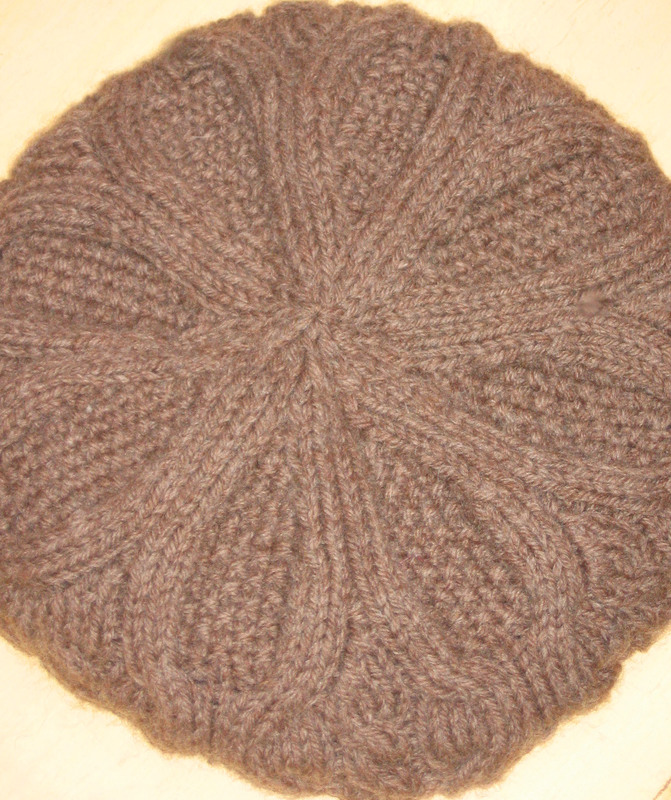 While browsing knitty.com I came across this hat, or tam, or something in between, depending on how you block it. 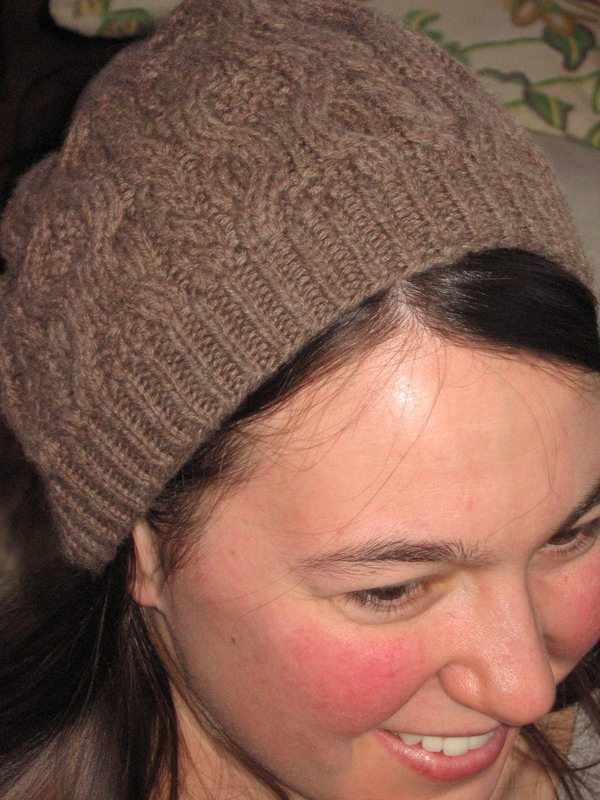 The hat is knit with cables. 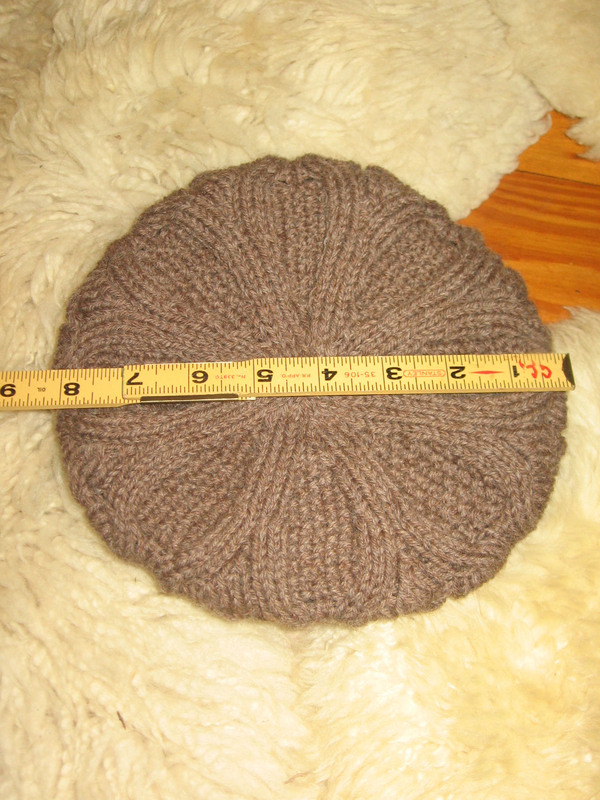 There is a simple 2 by 2 cable that goes up the sides, and then becomes the decrease at the top of the hat. The other cable like thing is a curvy shape with seed stitch. At the top, the cable opens up and there is a whole bunch of seed stitch. It fits well, and I shaped it into a hat more than a beret or tam. The pattern suggests shaping with a balloon, or even a dinner plate. 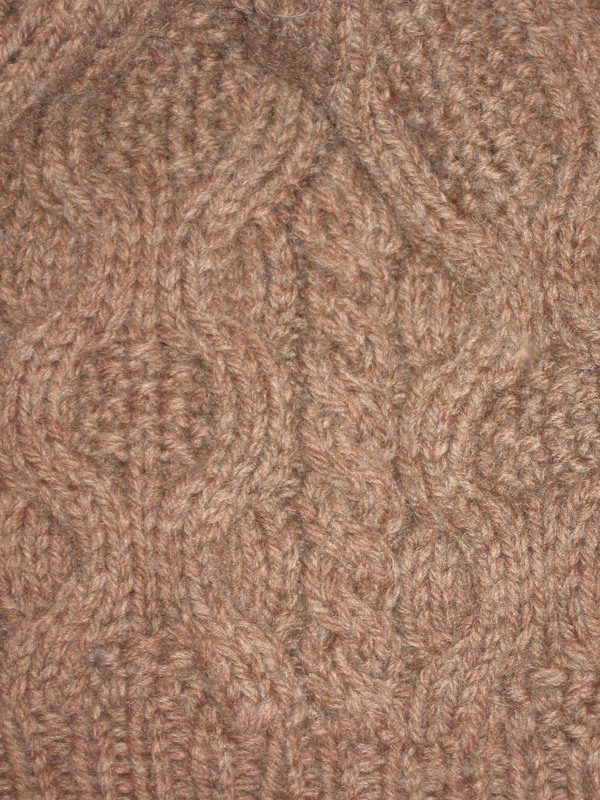 I knit it with cascade 220, again…and was again happy with the results. 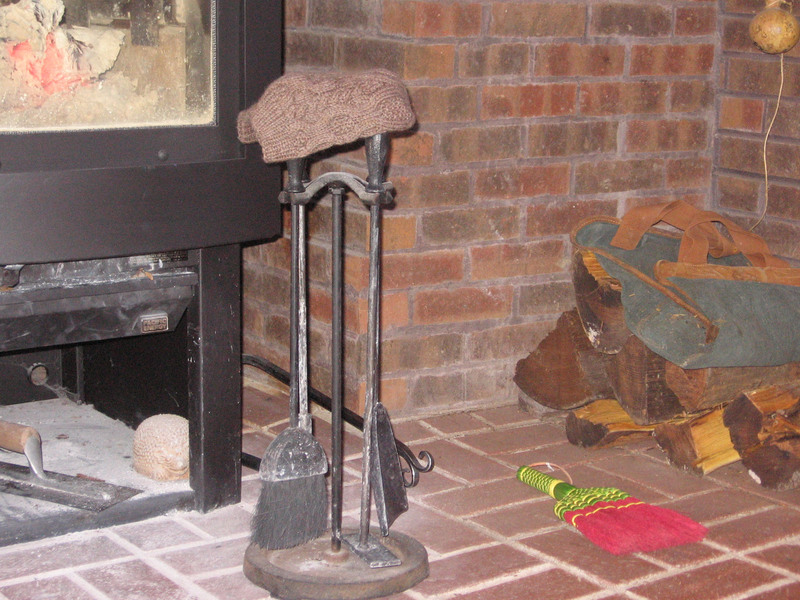 I didn’t want mine to be too big, so I hung it on my fireplace tools holder where it was shaped nicely…and dried very quickly. It is basically a slightly loose hat, quite comfortable. The finished hat is soft, and a little bit floppy, and fits nicely on Heli’s head.